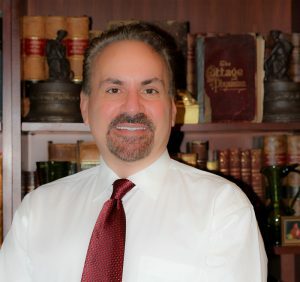 The person that’s responsible for the health of their family isn’t just there to stop a bleeding wound or set a broken leg. Poorly cooked or contaminated food will kill more people in survival settings than gunfights at the OK corral. Infectious disease might run rampant if you’re not vigilant about food safety. 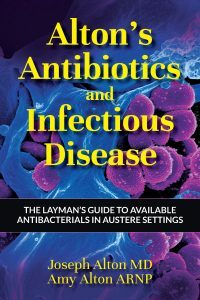 According to the United States Department of Agriculture, one in six Americans will get sick from food poisoning this year alone, with over 100,000 hospitalizations nationwide. The government has a program called the “Food Safe Families” campaign which advises you how to properly deal with issues that can lead to contamination and sickness. These recommendations are useful in normal times but many of them also pertain to off the grid scenarios. They consist of four simple steps: Clean, Separate, Cook, Chill. It’s important to wash hands, food, and food preparation surfaces. You’d be surprised how persistent many microbes can be on things like cutting boards if they’re not cleaned frequently. It’s hard to stay clean if you don’t wash your hands correctly. Make a good lather by rubbing your hands together. Make sure you scrub the back of your hands, between your fingers, and don’t forget your nails. For the best effect, wash for a good 20 seconds, the time it takes to sing the “Happy Birthday” song twice, then rinse with running water. • Before, during, and after preparing food, especially raw meat, poultry, and seafood. • Before and after treating a cut or wound. • Before and after caring for someone who is sick. • After using your hands to block a cough or sneeze. • After contact with animals or their waste. In cooking areas, bacteria can spread onto cutting boards, utensils, and counter tops. Wash all of these after each use, preferably with paper towels or clean cloths. Wash non-disposables with hot water. You may not know that it’s important to wash cutting boards, dishes, utensils, and counter tops with hot, soapy water after preparing each food item and before you go on to the next item. A bleach solution will also suffice. Use 1 tablespoon of plain household bleach per gallon of water. As for food items, make sure to wash fruits and vegetables, but not meat, poultry, or eggs! 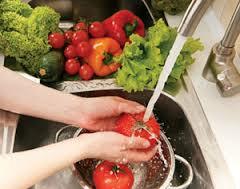 Washing produce involves cutting away damaged and bruised areas, then rinsing under plain running water (no soap). Items with peels or rinds aren’t exempt; bacteria spreads from the outside to the inside as you handle them during peeling. Afterwards, dry with clean cloth or paper towels. Wait, did I say to not wash meat, poultry, and eggs? Yup. Washing raw meat and poultry can actually help bacteria spread; they juices contaminate your sink and countertops. By the way, all commercial farm eggs are washed before sale. –Use a designated cutting board for fresh produce, and others for meat, poultry, or seafood. –Use separate plates and utensils for preparing cooked and raw foods. –Thoroughly wash plates, utensils, and cutting boards that held raw meat, poultry, seafood, or eggs before using them again. –Toss old cutting boards. All sorts of microbes can make their own ecosystem in the grooves. The above advice also goes for food in your shopping cart. 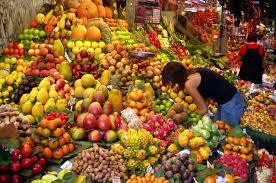 You should keep meat, poultry, seafood, and eggs separate from all other foods at the grocery store. Make sure you aren’t contaminating foods in your grocery bag by separating raw meat, poultry, seafood, and eggs from other foods in your shopping cart. Put these items in plastic bags to keep juices from accidentally contaminating other foods. Once you’re home, Keep meat, poultry, seafood, and eggs separated from everything else in the refrigerator. It’s a good idea to keep them in their plastic bags. Freeze them if you’re not planning to use these foods within a short period of time. Keep eggs in their original carton and store them in the main compartment of the refrigerator where it’s colder, not in the door. Raw meats and other items must be cooked to the appropriate temperature. Many bacteria that cause food poisoning multiply rapidly if they’re not cooked to the right temperature, there’s all sorts of bugs that can colonize food, like salmonella. Many people believe they know when food is done simply by checking color and texture. In truth, there’s no way to be sure it’s safe unless you use a food thermometer. 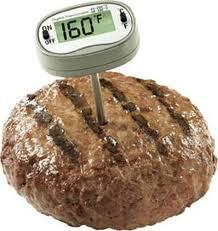 When food appears to be done, place the food thermometer in the thickest part of the food. Make certain not to touch bone or fat, which can give you inaccurate readings. Wait the amount of time recommended for your type of thermometer. Some foods are safest when given a “rest time” of three minutes after removal from the heat. During its “rest”, the temperature remains constantly hot (it might even rise a bit) and does a better job of killing pathogens. Don’t forget to clean your food thermometer with hot, soapy water after each use. In normal times, microwaves take the place of ovens in many households. It’s important to microwave food thoroughly to 165 ˚F. When microwaving, you should stir your food in the middle of heating. Letting your microwaved food sit for a few minutes helps your food cook more completely. Allowing colder areas a little extra time to absorb heat from hotter areas of food after removal from the microwave could mean the difference between a healthy meal and food poisoning. Perishable foods should be refrigerated as soon as possible. Pathogens can colonize food items within two hours unless refrigerated. At summer temperatures of 90 degrees Fahrenheit, that time is reduced to just one hour! –Refrigerate perishable foods within one to two hours. Make that trip to the grocery store your last errand, not your first. –Once home, how you refrigerate your purchases makes a difference. Pack your refrigerator properly by allowing cold car to circulate inside. Don’t overpack. –Keep refrigerator temperatures between 32 degrees and 40 degrees Fahrenheit. –Leftovers shouldn’t be allowed to sit out for longer than two hours, and are best refrigerated immediately. What food should be frozen instead of refrigerated? Freezer temperatures of 0 degrees Fahrenheit are safest. It should be noted that freezing doesn’t kill most harmful bacteria if they’ve already colonized the food item. Thawing in the refrigerator is the safest way to thaw meat, poultry, and seafood. Remove the food from the freezer, put it on a plate to catch juices that may leak, and place in the refrigerator. It should be ready to use the next day. You can, instead, put the frozen package in a watertight plastic bag and submerge it in cold water. If you use this method, be sure to cook the food immediately. It’s wise to change the cold water every 30 minutes or so. Another option is the microwave. Usually, there will be instructions on the package, or just look at your owner’s manual. Cook immediately once thawed. Don’t thaw it at all. It’s safe to cook foods from a frozen state, as long as you realize that your cooking time will be about 50% longer. Be certain that the food item is cooked thoroughly (remember that food thermometer?). 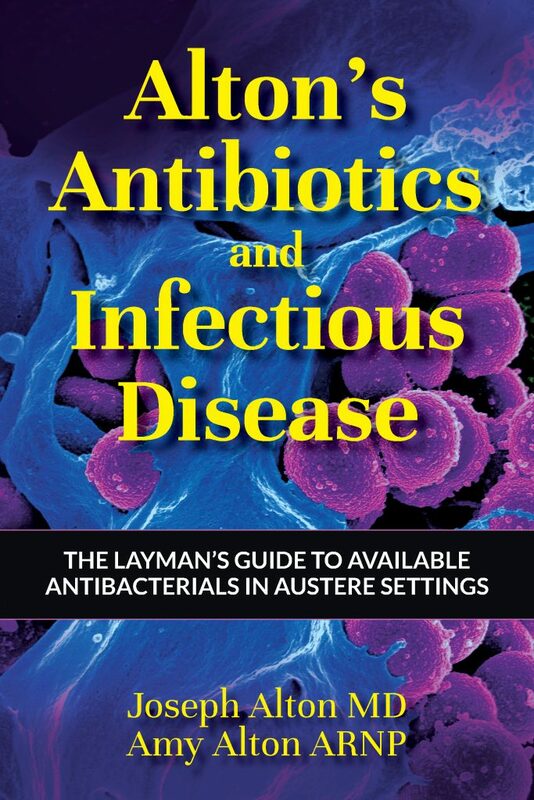 Find out about infections from contaminated food and many other infectious diseases and the antibiotics that treat them in the Altons’ new book: Alton’s Antibiotics and Infectious Disease: The Layman’s Guide to Available Antibiotics in Austere Settings, now available at Amazon or at store.doomandbloom.net!